Wu Han: [to Indy] Be careful. Q: How did this film ever get away with a PG rating? Q: What happened to Chattar Lal? Q: Why doesn't Indy know how to fly the plane? (re-Review): I've never disliked this movie, but it's also been a hard movie to love over time. I also never watched it as much as I can remember Raiders, or even Last Crusade (the latter I feel like was more of a TV thing, like on the USA network). I think the two main things that bog this down are a) I don't really care all that much about the quest for the stones - as far as MacGuffins go, these are some flimsy MacGuffins, which I almost forgot about midway through the movie, and b) Willie Scott is just a terribly written character. Kate Capshaw, it should be said, isn't exactly BAD, per-say, but her character is so one-dimensional that she's not really given all that much interesting stuff to do except be the uber/quintessential Damsel-in-Distress, to the point (perhaps it was the idea?) of parody, or as some kind of ditzy sexual object. 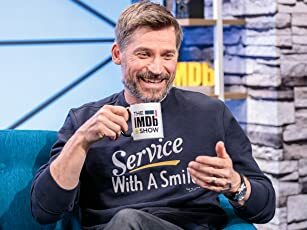 Her best scene is when she is going back and forth across the room, inter-cut with Jones talking to himself, about whether or not to leave the room or wait for the other to come to have 'mating rituals'. Oh, she CAN be annoying in her screaming and perpetual HELP ME-ness, and yet it's interesting that some people - not all, but some - are more annoyed by Short Round. To put it into Star Wars terms, imagine, easily enough, that Jones is Han Solo (and of course, both are Ford). Short Round is basically one of the droids, doing whatever to help the hero in his quest. Willie, on the other hand, is no Leia, or even a goddamn Padme. It's a flatly written one-dimensional object to follow along Dr. Jones on this mission that, in the grand scheme of things with this series, is a bit superfluous. Some backstory on the production can sometimes help; it was a dark time for Lucas as he was going through a divorce, and he poured I imagine a lot of that darkness into the depiction of these tribespeople doing their insane rituals involving torn-hearts and fires burned and so on underground. Certainly those moments where Jones is in 'evil' mode are scary - though how he just snaps out of it due to fire is just one of those 'things' you really have to suspend-to-disbelieve here. And on Spielberg's part, he's always there to work and make some craftsman-stuff, but his heart is really in a couple of the set- pieces, like the descending spikes from the ceiling in the trapped room, and of course the cart-chase. That cart-chase is a piece of icon action cinema, and for good reason; it makes the movie into a literal interpretation of what it's trying to be, as a ROLLER COASTER ride. And like roller- coasters, they're fun, they're diverting, they may be scary, and once they're over you... don't get much substance from them. 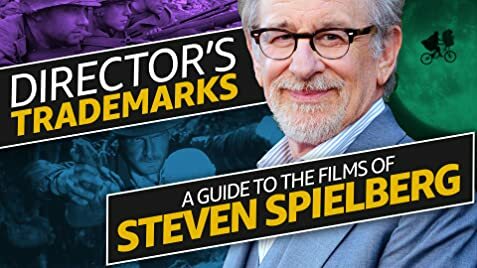 So Spielberg is there to work but not fully with his heart in it (one wonders what he thought of the script on first read, from future Howard the Duck scribes Hyuck and Katz), and Lucas in a mood that is bizarre and tonally strange. What to make of a movie that has such very dark turns, and the ends with the goofiest set piece of Jones chopping a bridge so that the nameless Indians fall to their deaths as hords of crocodiles are just there already waiting. In other words, this is the most outlandish, CARTOONISH of the bunch. I'd almost like this more if it was an animated movie; ironically years later Spielberg would make The Adventures of Tintin, a kind of Indiana Jones with a kid as the hero, and that somehow is LESS cartoony than this movie with its scenes where everything is over the top. 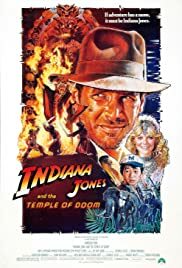 Again, it makes for a good ride, and Ford is always great as Indiana Jones - yes, even in Crystal Skull, which I don't think is as bad as has been made out to be - but it's memorable only for the ride aspect, not for its particular, shall we say, pathos. 43 of 74 people found this review helpful. Was this review helpful to you?